This part of the website displays material, most of which was collected as part of the Coleshill History Project. 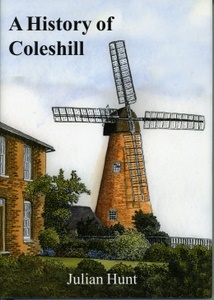 The project was completed at the end of 2009 and culminated with the publication of the book, A History of Coleshill. In early 2010, the new Coleshill History Group was formed to augment the work of the project and to maintain and enhance this section of the village website. Click the links on the left to explore this section.